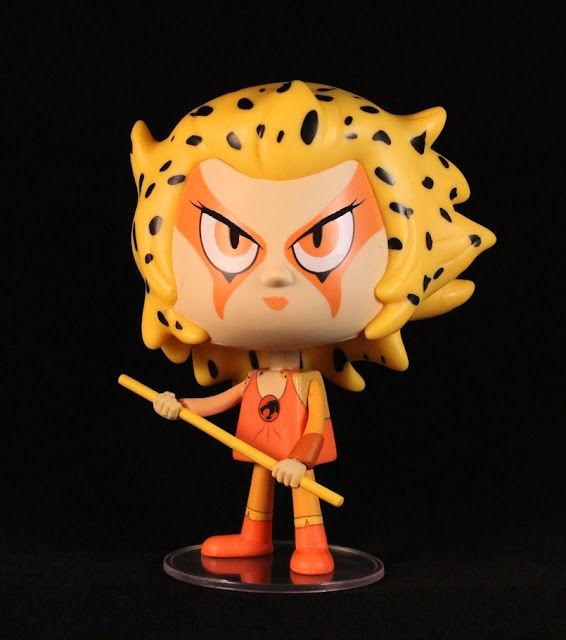 She's Fantastic: Funko Vynl - Thundercats Classic CHEETARA! 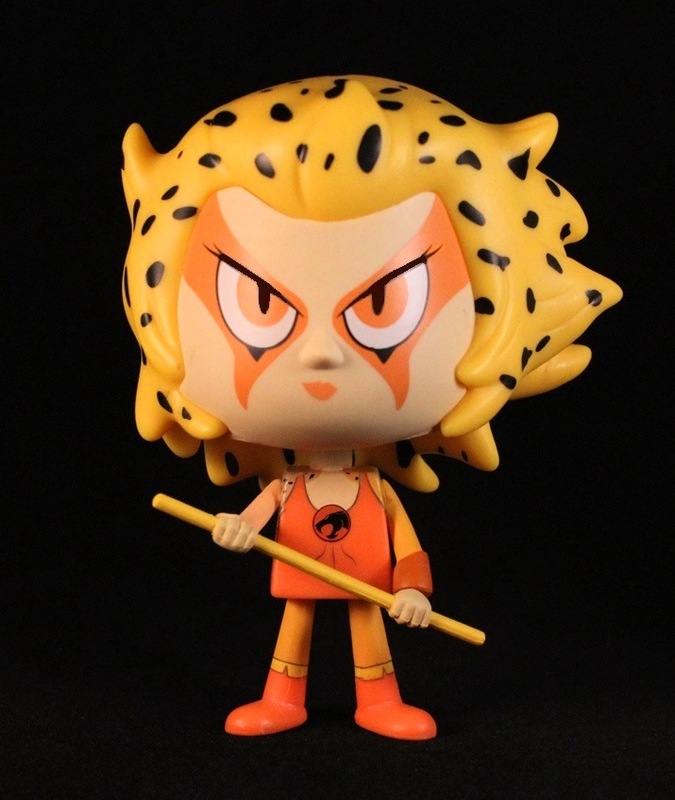 Funko Vynl - Thundercats Classic CHEETARA! While I'm not the biggest fan of this new Vynl line from Funko, I find it pretty impossible to resist any piece of Cheetara merchandise when I see it on the shelves. Of all the big 1980s ladies: She-Ra, Jem, Baroness, etc, Cheetara is the one I get the most excited about when I see her. I think as a child I loved any powerful female characters in those afternoon TV blocks, but as an adult my tastes have refined to highlight other aspects of character design I find appealing. First of all, I love animal motifs - especially when it's a felinoid. And a second aesthetic I've really grasped onto is a monochromatic color scheme. This actually donned on me as an adult collector when I saw my action figures lined up by character.. Scarlet Witch's pink and red, Polaris' emerald and chartreuse, and Firestar's yellow and red, etc, etc. I suddenly realized I had a very obvious pattern to my collecting. And I also realized that Cheetara was the only childhood muse of mine that perfectly fit my adult style. I photoshopped her eyes a little but because my side-lighting creates big glares across her pupils. You can see what I mean in some of the comparison photos at the bottom of this post. Here is Cheetara with her pack-mate, Panthro. And here she is with her 2013 Funko Pop.